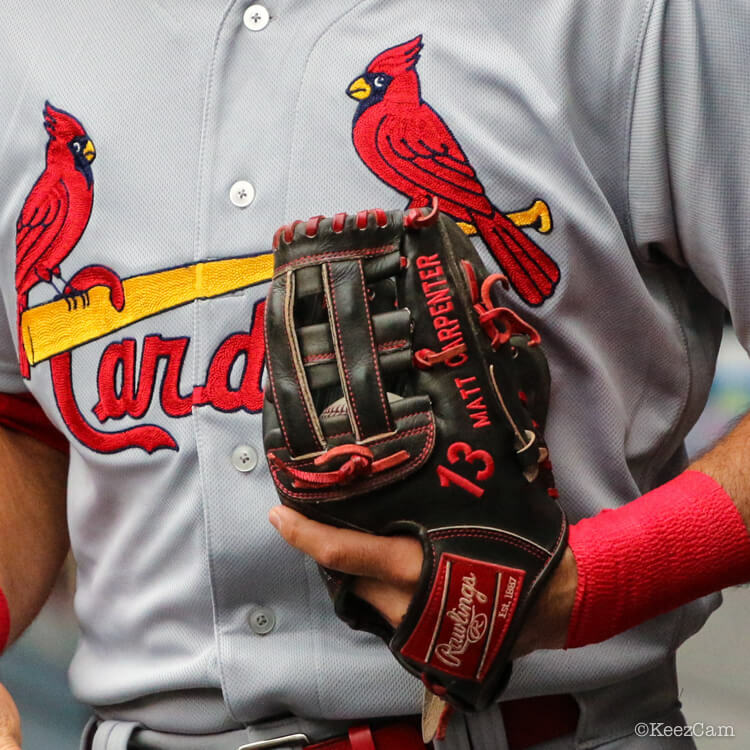 Here are the specifics of Matt Carpenter’s glove straight from the Rawlings Pro Department: 11 ¾” HOH black, #6 H-web, No finger hood. Index finger pad. Carpenter’s glove is available through Rawlings’ custom builder at the UPDATED link. Categories: Gear, Glove, Third Base, St. Louis Cardinals, Matt Carpenter.